Armenia is my ancestral homeland and has always played a vital role in motivating and inspiring my photography. The images below are from four separate trips in February and September of 2008, and April and September of 2011. In February 2008, the achromatic landscapes of wintertime Armenia lent themselves perfectly to the subtleties of infrared photography. Even in late summer and early fall, the Armenian highlands were dominated by the snowscapes of its majestic mountains. Color photographs of Armenia can be found here. Additionally,traditional black and white images from Armenia can be found here. 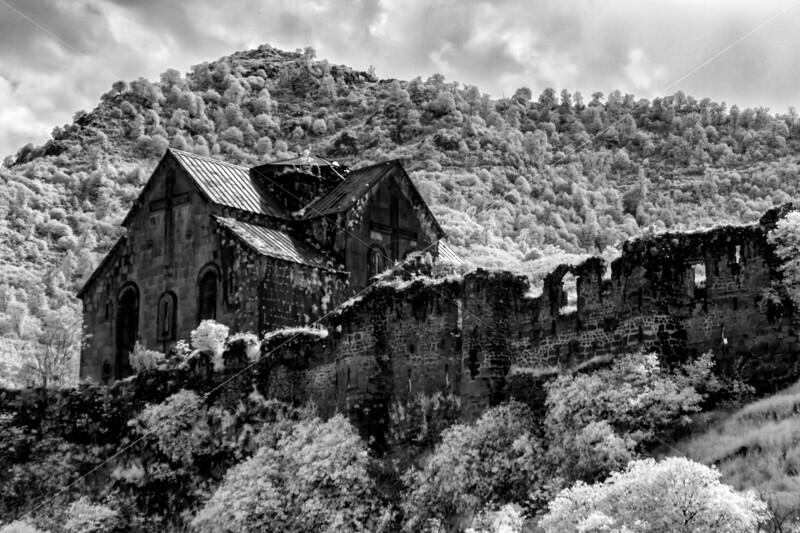 Akhtala Monastery, in the Lori Region of Armenia, sits within the walls of Pghindzavank Fortress. Photographed May 15, 2015.